Mr. Boomsma, Walter, or Professor Boomsma? When I sub at school, the kids are required to call me Mr. Boomsma. Most comply, although it’s not at all unusual for the kindergarteners to call me “Mrs. Boomsma.” The idea of a man teaching kindergarten is still a bit alien to most five-year olds. You won’t have to call me “Professor Boomsma” but thanks to a collaboration between the Arthur Gary School of Real Estate and Husson University’s Center for Family Business, I’ll soon be teaching a Sales Agent Course at Husson that makes it possible for students to receive 3 hours of credit for a Business elective, PL 201 Real Estate Law, Paralegal elective or Open elective through Portfolio Assessment. The course begins on May 27th, so you’ll need to act fast! You’ll find more information available on the Arthur Gary School of Real Estate website or by calling the school at 856-1712. 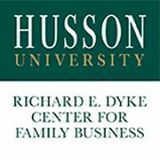 To inquire about Portfolio Assessment to obtain credit for the course, please contact Marie Hansen, Dean of the College of Business, hansenm@husson.edu. The course begins on Tuesday evening, May 27th from 6 PM until 9:30 PM, then meets for three weekends–Saturday and Sunday from 8 AM until 5 PM. The final exam takes place on Tuesday, June 17 from 6 PM until 9:30 PM. Students are required to attend at least 90% of the scheduled class hours and achieve a passing course grade of at least 75% in order to qualify to take the required state exam prior to licensing. The Sales Agent Course starting on May 27th is the regular/normal/usual course and should be taken by anyone interested in becoming licensed. It is not just for those seeking college credit. This is the usual course with an added option for college credit from Husson.